While many consumer-electronic stores offer a variety of laser printers, most of the models on the display floor aren’t robust or durable enough to handle the demands of small businesses and school classrooms. 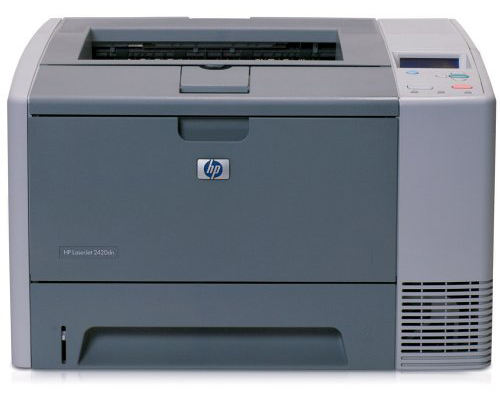 For a commercial-grade desktop laser printer, one that delivers 1200 dpi at speeds up to 30ppm, Hewlett-Packard offers the 2004 LaserJet 2420 printer. Before we discuss the specs, you need to know that the 2420 comes in four different flavors: The basic 2420, the 2420d with duplexer for 2-sided printing, the 2420n with built-in network and extra memory, and the 2420dn with network and 2-sided printing capabilities. The duplex unit, memory, and network cards are available as optional accessories that can be easily added to the base model with as little as a screwdriver. The cube-like LaserJet has a 16” x 17” footprint for easy placement in any corner or credenza. Paper and toner access are all from the front, reducing the need of moving the printer for refills. A big step up from the 2200 and earlier LaserJet printers, the 2420’s control panel is very easy to understand and use. An alphanumeric LCD display and LED indicators provides enough visuals to easily troubleshoot problems. In addition to the traditional Start and Cancel buttons, the 2420 LaserJet also has four menu buttons, making configuration changes directly on the printer simple, topped with an actual “Help” button. The LaserJet 2420 comes standard with a 250-sheet cassette tray, capable of supporting letter or legal-size paper. The flip-door reveals a 100-sheet multi-purpose tray that can handle transparencies, labels, post cards, envelopes, 3” x 5” postcards up to 8.5” x 14” legal paper of various bond weights. To handle situations where high-volume printing is required, you can buy an additional 500-sheet paper tray, giving total capacity of 850 sheets. The 2420 prints fast. After 8.5 seconds, this laser starts chugging letter-size prints at 30 pages per minute at 600dpi. In 1200 x 1200dpi resolution, the LaserJet 2420 keeps text sharp--even at 6-point font sizes--and does a great job with monochrome graphics. This laser printer comes standard with 32MB of memory, and an empty memory slot to add an additional 288MB. With 32MB coming right out of the box, you can put this LaserJet to use in any business classroom where it will handle multiple text jobs without buffer delays. 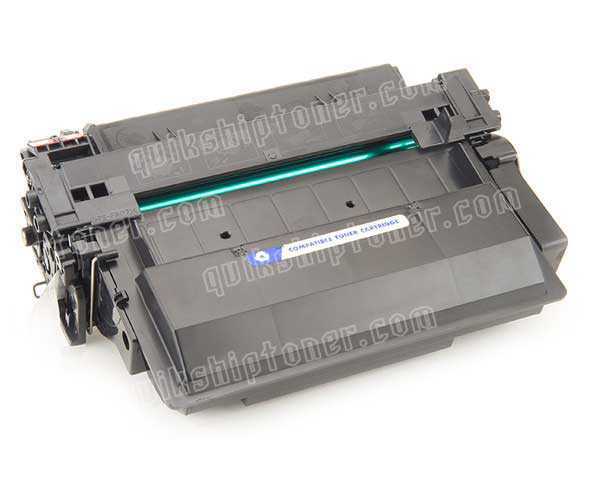 If you are planning to add a network card to the 2420 or 2420d, the printer will need at least 48MB of memory. More memory should be added for graphics printing. Understanding the printing needs of today’s businesses in providing support for the major software applications, HP has installed a full set for print emulators that should satisfy the most diverse office. Emulators include HP PCL5e, PCL6 and PostScript3. This is a noisy printer. While idling silently below 15dB, the 2420 produces 53dB of sound. To give you an idea of what that means: 60 decibels is the level of typical conversations and 30 decibels is a quiet office. If you have a quiet workplace, you don’t want to sit this near any office cubicles, but placed inside a copy room or break area it’s noise will hardly be noticeable. Review it: "HP LaserJet 2420 "
The LaserJet 2420 toner and drum are integrated in a single cartridge, making it easy to maintain. 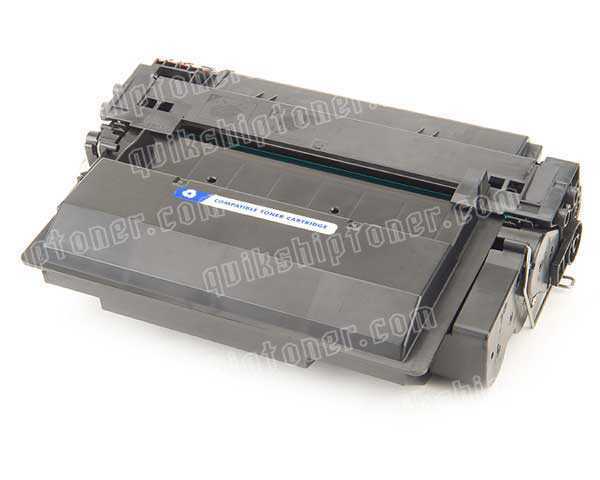 The toner has a sizable 6,000-sheet yield--with is based on having only 5% ink coverage page. Prints with heavy graphics will drop that toner capacity considerably. For departments or offices with really heavy printing demands, 10,000-page high-yield cartridges are available for this model. This is great for a department or an office with heavy printing demands. If your business intends to use this printer in Payroll--specifically for check printing, a special Magnetic Ink Character Recognition (MICR) toner cartridge is available.